One night long ago a Menominee Indian dreamed that Manabush, grandson of Ko-Ko-Mas-Say-Sa-Now (the Earth) and part founder of the Mitawin or Medicine Society, invited him to visit the god. With seven of his friends the Indian called on Manabush who granted their request to make them successful hunters. One of the band, however, angered the god by asking for eternal life. Manabush, seizing the warrior by the shoulders, thrust him into the ground and said, "You shall be a stone, thus you will be everlasting". 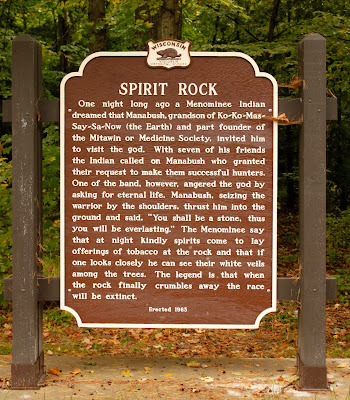 The Menominee say that at night kindly spirits come to lay offerings of tobacco at the rock and that if one looks closely he can see their white veils among the trees. The legend is that when the rock finally crumbles away the race will be extinct. apparently Spirit Rock has been removed from this location. where the Spirit Rock historical marker is located. en route to the Spirit Rock marker location. 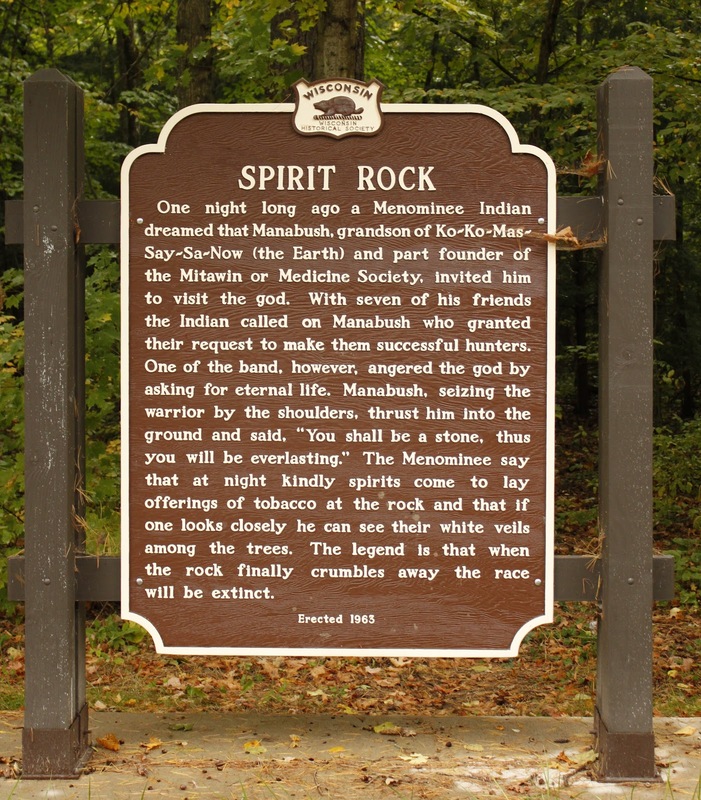 Spirit Rock is located in Keshena, Wisconsin. 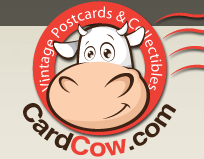 Need to search for the pic I took there years ago. There was a strange white "fog" in the image. Wow, would love to see that photo! That's really cool!! Thank you, Helene, for sharing your story -- what a wonderful family tradition! Thank you for sharing, although I have a totally different perspective on your "sweet and innocent" story. 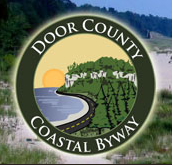 Since it is the tradition of the Menominee that "when the rock finally crumbles away the race will be extinct", if everyone who visits the rock takes away "a little piece", won't that eventually mean the extinction of the Menominee? Just saying . . .